As part of the Centennial Digitization Initiative to commemorate the 100th anniversary of President John F. Kennedy’s birth, archivists have begun a large-scale project to preserve and make accessible nitrate photographic negatives from the Kennedy Family Collection. 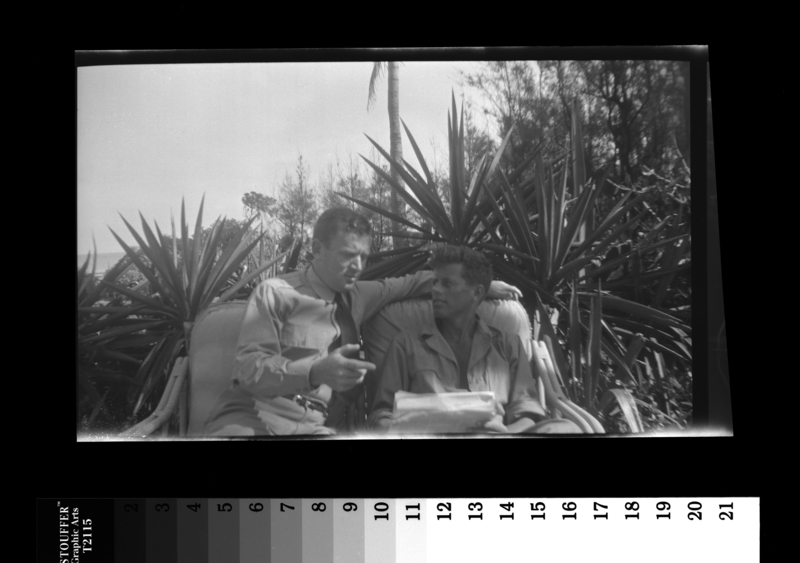 With generous grant funding from the Fund II Foundation, the project aims to provide online access to approximately 1,700 black-and-white nitrate negatives, which will be cataloged and published to the Kennedy Library’s digital archives. KFC827N. John F. Kennedy (left) and Joseph P. Kennedy, Jr. The nitrate negatives comprise a subset of the photographic materials in the Kennedy Family Collection and include snapshots of John F. Kennedy, members of his immediate and extended family, as well as family friends, originating from before his birth to the early 1950s. They also feature photographs that capture Rose Fitzgerald (later, Kennedy) as a young woman during her travels abroad in the early 1900s. 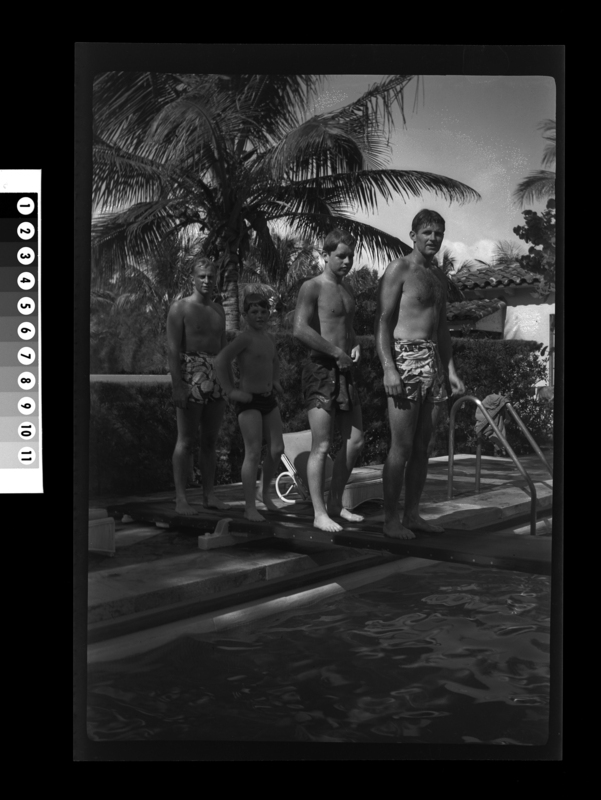 Similar to all family photo collections, the Kennedy Family Collection tells those unique but shared stories of daily home life, vacations, holidays, and other celebratory occasions. 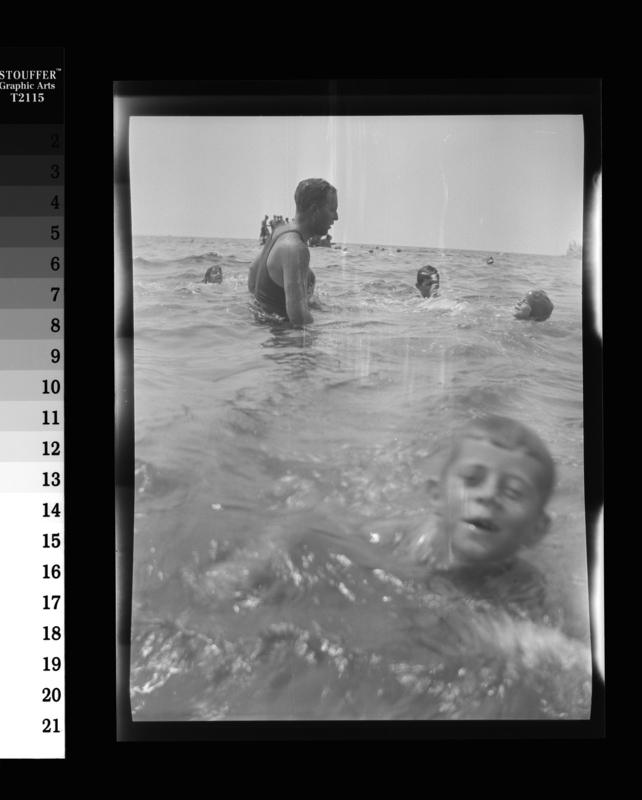 The nitrate negatives, however, tell a bigger story about the advent of amateur photography and the enthusiastic and prolific users of a new visual medium. 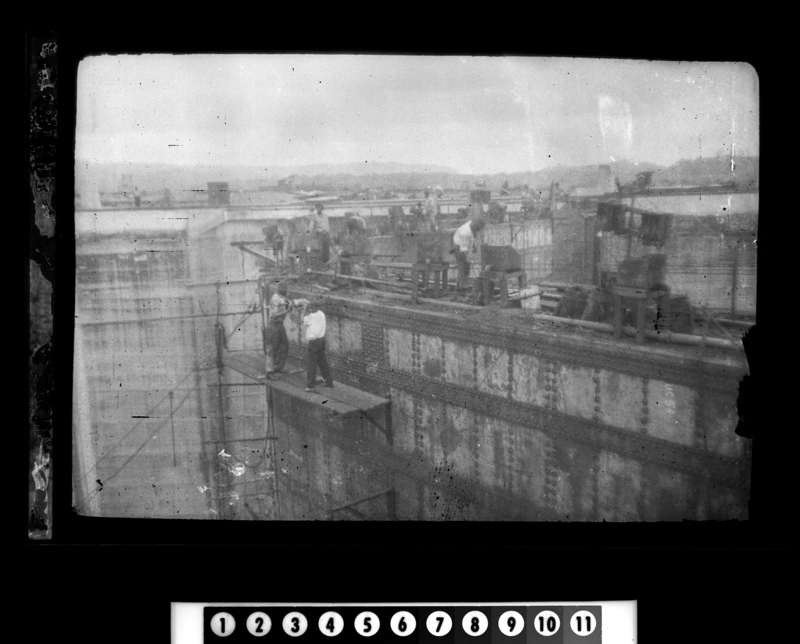 More than a century ago, the introduction of cellulose nitrate film in still photography gave rise to a new generation of amateur photographers. 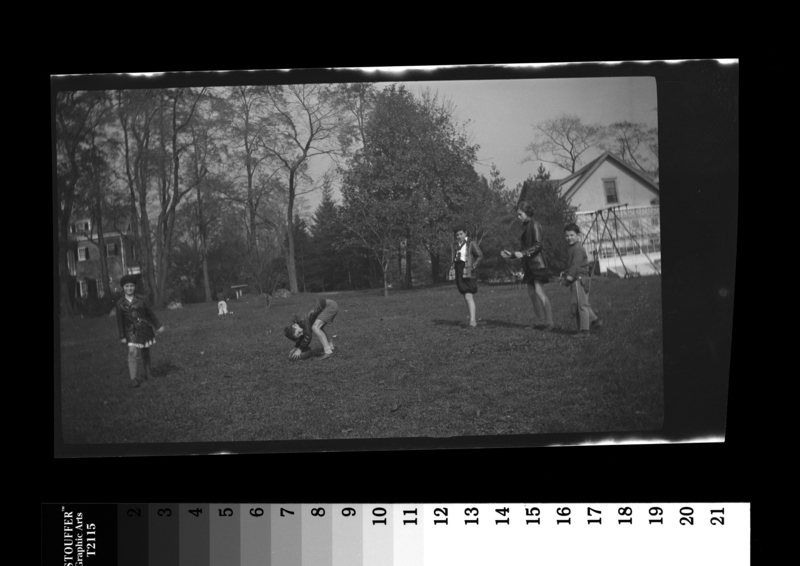 By the late 1880s, nitrate became the first successful plastic film base material to support the light-sensitive emulsion layer of photographic negatives. Its lightness, flexibility, and convenience made possible technical advancements in amateur roll, single sheet, and pack film production. Film manufacturers also began introducing different models and sizes of cameras; as the photography industry evolved, companies like Eastman Kodak, Agfa, and Ansco continued to perfect and refine various formats of nitrate film. KFC618N. Rosemary Kennedy, John F. Kennedy, Eunice Kennedy, Joseph P. Kennedy, Jr., and Kathleen Kennedy. KFC98N. 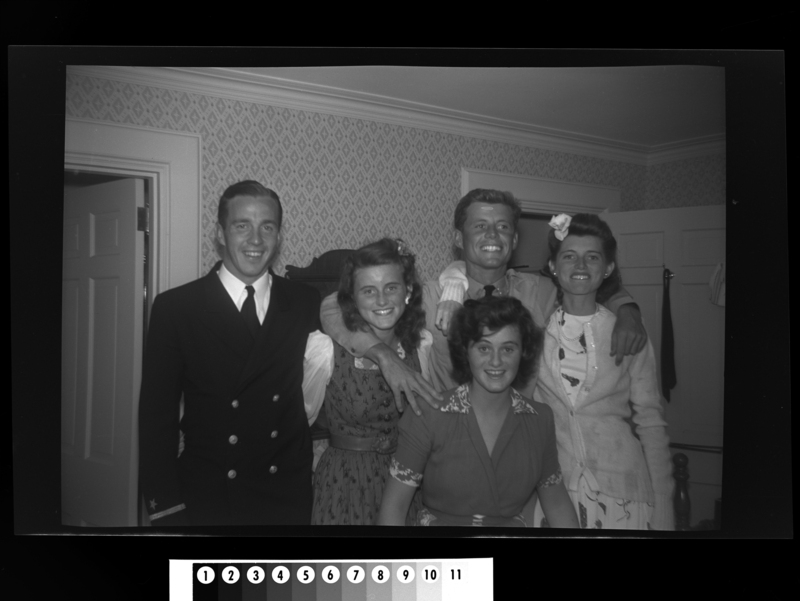 Left to right: Torbert Macdonald, Kathleen Kennedy, John F. Kennedy, Eunice Kennedy, and Jean Kennedy. KFC1471N. 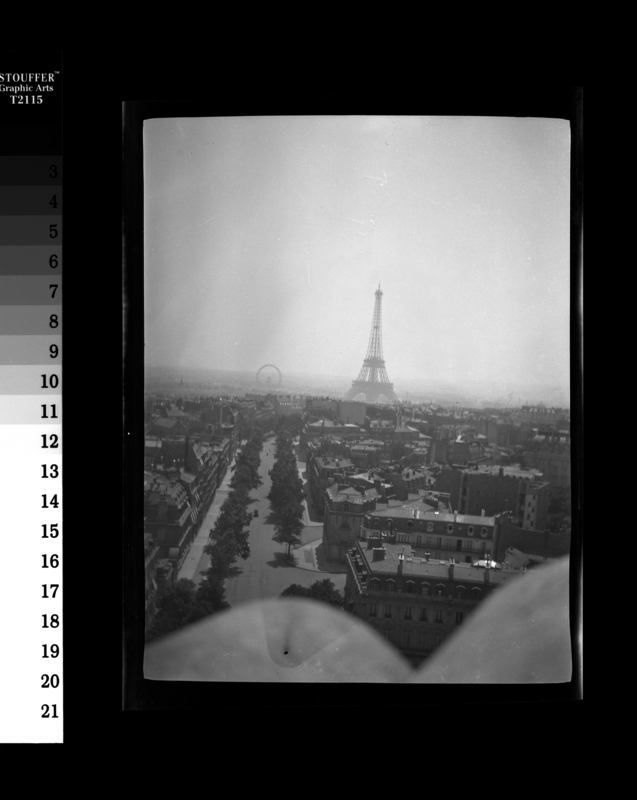 View of the Eiffel Tower and Grand Roue de Paris Ferris Wheel, during Rose Fitzgerald’s school year abroad. 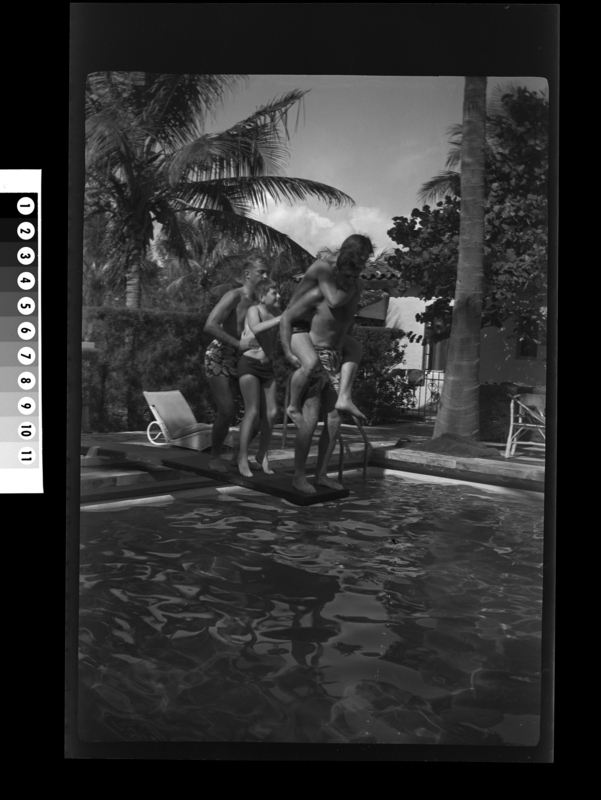 The Kennedy family had their 127 roll film developed while on vacation in St. Moritz, Switzerland. Processing envelope for size 620 roll film for Lady Hartington (neé Kathleen Kennedy). KFC533N. Jean Kennedy, Robert F. Kennedy, Patricia Kennedy, Eunice Kennedy, and an unidentified boy play football. KFC1073N. Rosemary Kennedy, Edward M. Kennedy, Jean Kennedy, and Rose Fitzgerald Kennedy. KFC2792N. Kathleen Kennedy and Robert F. Kennedy. KFC621N. John F. Kennedy (foreground) and Joseph P. Kennedy, Sr.
KFC1481N. 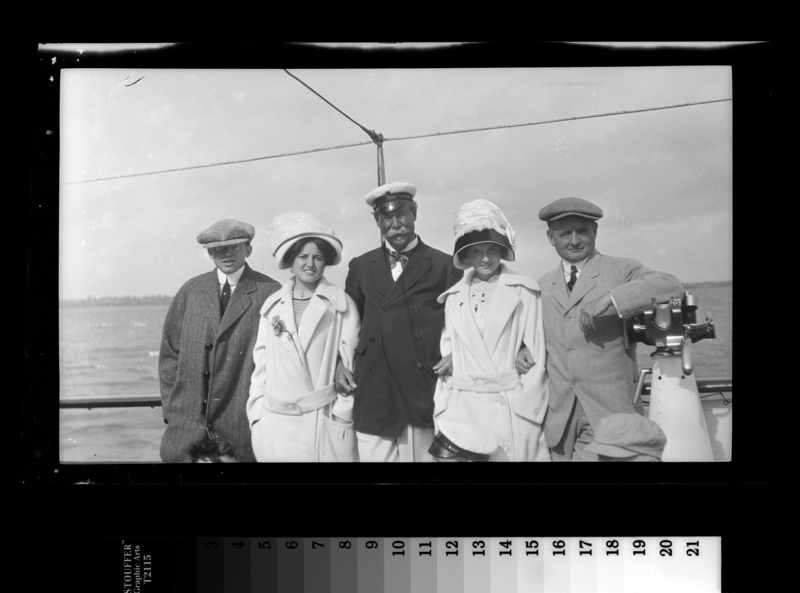 Left to right: Hugh Nawn, Rose Fitzgerald, Sir Thomas Lipton, Agnes Fitzgerald, and John F. “Honey Fitz” Fitzgerald. In the early years of photography, nitrate film represented both beauty and innovation with its aesthetically rich tones and exceptional technical properties. Its chemical composition, however, posed problems and nitrate soon became renowned for being extremely flammable, inherently unstable, and readily susceptible to rapid deterioration and loss of image detail. 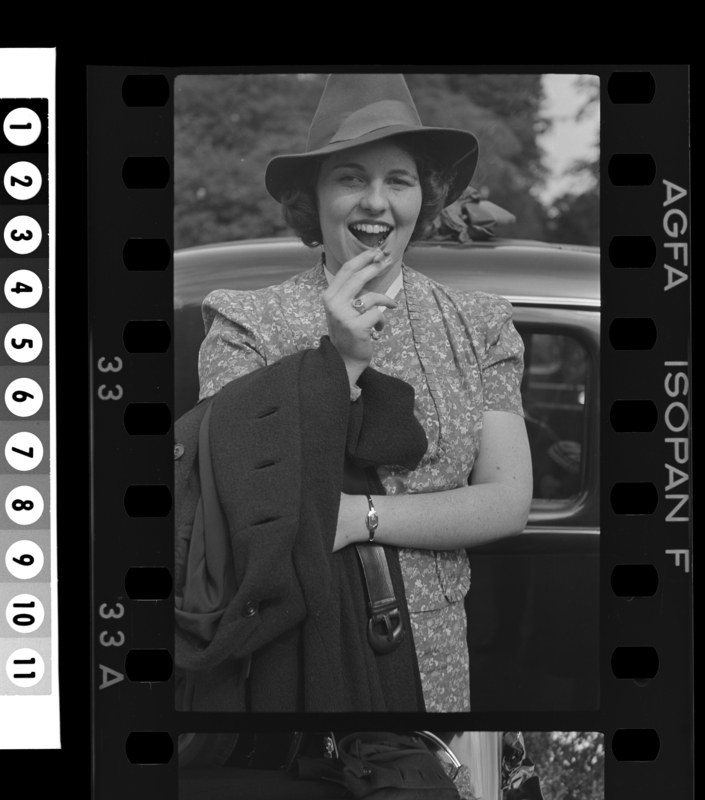 By the time film manufacturers discontinued nitrate production in 1950, prolific amateur photographers like the Kennedy and Fitzgerald families had accumulated numerous nitrate negatives in their personal collections. 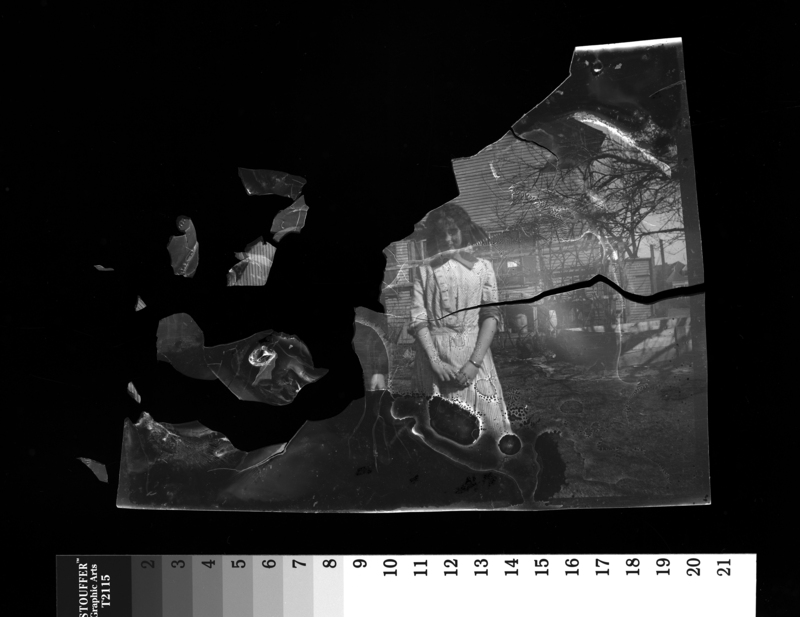 Very few nitrate negatives in the Kennedy Family Collection are as severely damaged as the one above; though the rate of decay is not as high for still negatives as it is for rolled motion picture film, the threat to image stability is an urgent preservation concern for archives entrusted with their care. 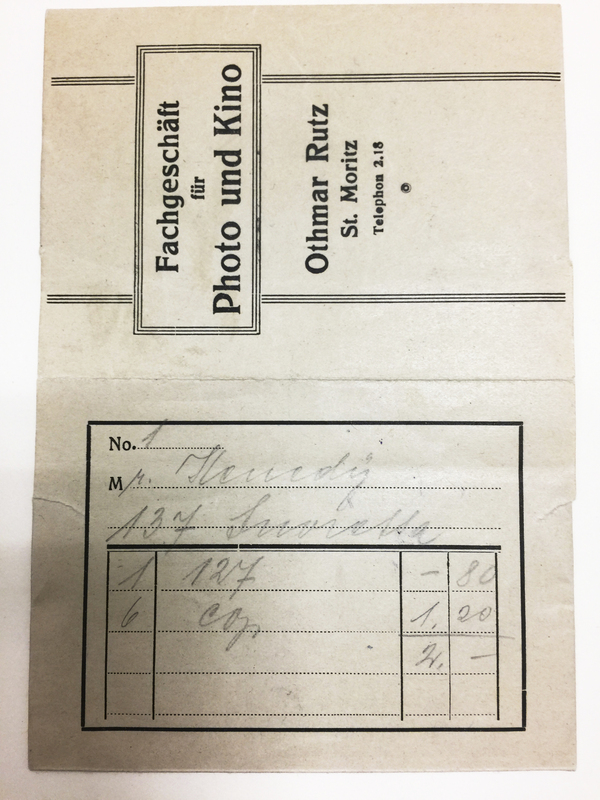 Current best practices for the safe handling and long-term preservation of nitrate materials came out of the archivist-driven “Nitrate Won’t Wait!” movement, which mobilized the profession to help save this early photographic heritage literally in danger of disappearing. At the Kennedy Library, cellulose nitrate materials are stored separately in a cold storage environment where freezing temperatures arrest eventual decomposition. 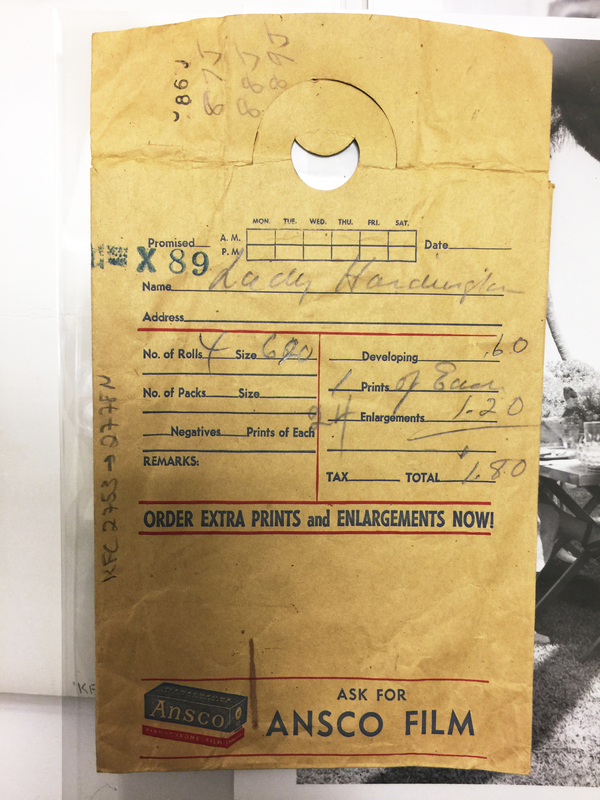 Preservation reformatting and/or digitization is common archival practice when it comes to endangered materials like nitrate. Faithful digital surrogates provide greater access and ensure future use while the physical negatives remain safely preserved in their original format and condition. KFC2712N. John F. Kennedy (right) and Paul “Red” Fay. 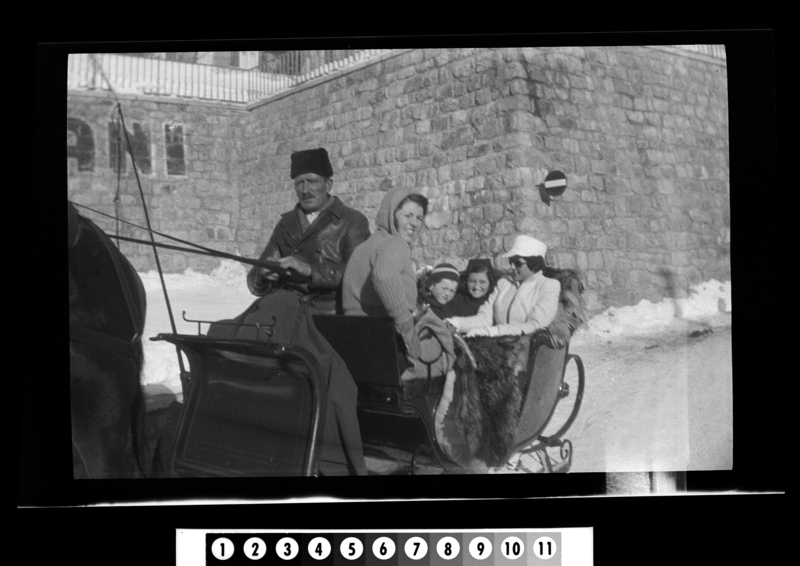 Digitization of all Kennedy Family Collection nitrate negatives is complete thanks to reformatting services provided by the Northeast Document Conservation Center (NEDCC). Archivists are steadily working on preparing the access and archival master files for ingest into the Library’s digital asset management system. At this stage, archivists are embedding in each file metadata that: describes the digital object; authenticates its original source (physical dimensions and material condition); and documents copyright and use restriction information and the technical specifications used in its creation. 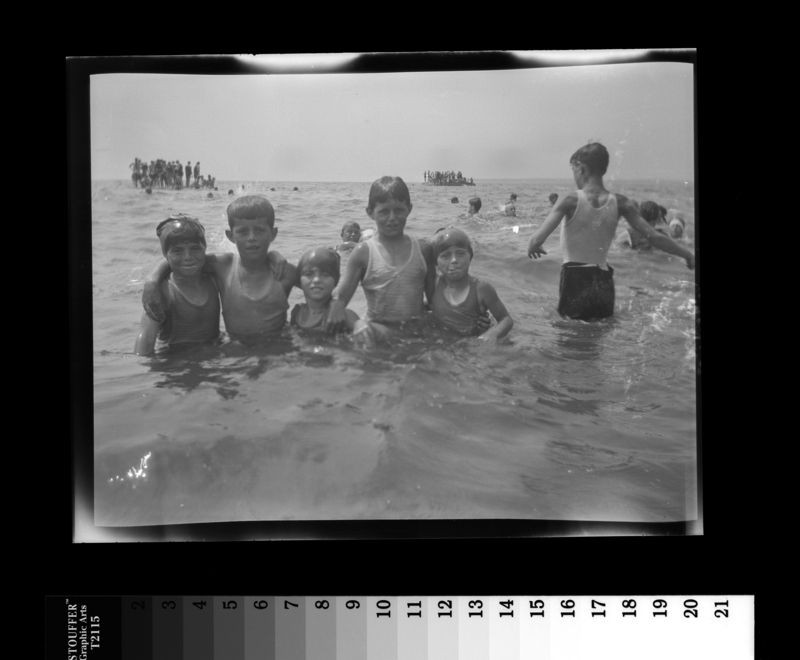 Next steps include creating robust descriptions and metadata records for all nitrate negatives so that users can browse, search, and discover these historic materials on the Library’s website. 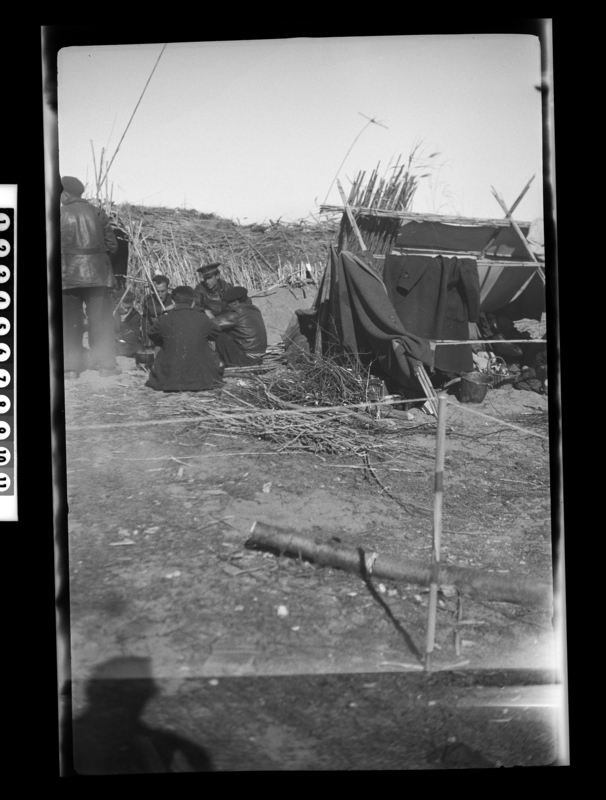 Descriptions will also incorporate original caption and inscription information to retain meaningful links between the original negatives and their many derivative prints found in the various scrapbooks and albums contained in the collection. 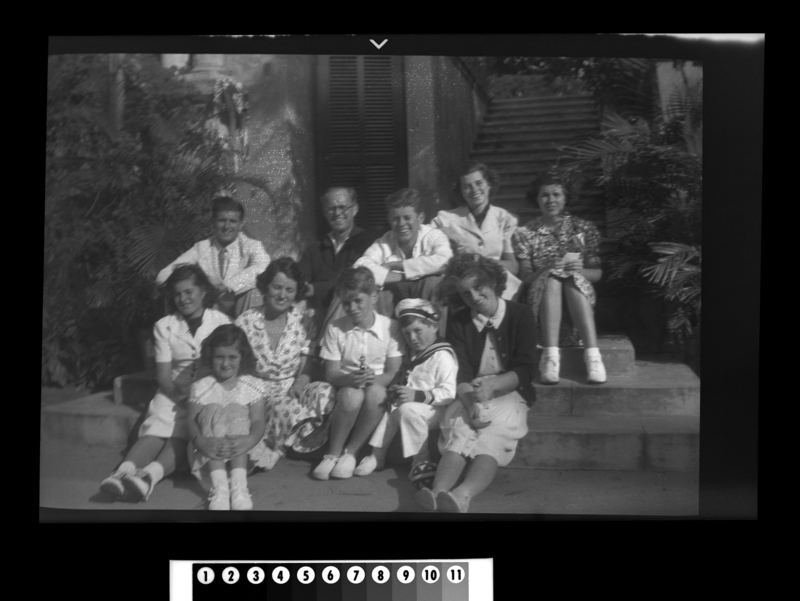 Archivists look forward to sharing updates on the cataloging progress of the Kennedy Family Collection nitrate negatives. Stay tuned to this blog and be sure to check the collection finding aid in the coming months for hyperlinks to digitized content. KFC1721N and KFC1722N. Left to right: Tom Killefer, Edward M. Kennedy, Robert F. Kennedy, and Joseph P. Kennedy, Jr. The Focal encyclopedia of photography. 1969. New York: McGraw-Hill. Slide, Anthony. 2001. 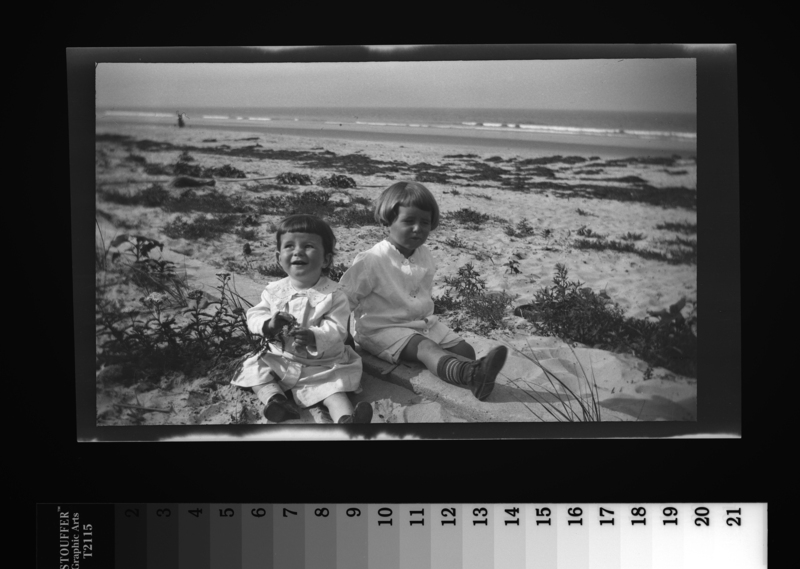 Nitrate won’t wait: a history of film preservation in the United States. Jefferson, N.C.: McFarland & Co.